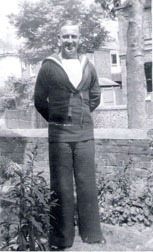 WEISS, Petty Officer, FREDERICK, P/JX 136851. H.M.S. Neptune. Royal Navy. 19th December 1941 Age 23. Son of John and Madeline Clytie Weiss. Portsmouth Naval Memorial Panel 46, Column 2.